Need a pair of high-performance condenser microphones for vocals? Check out this matched pair of AKG C414 XLII mics. 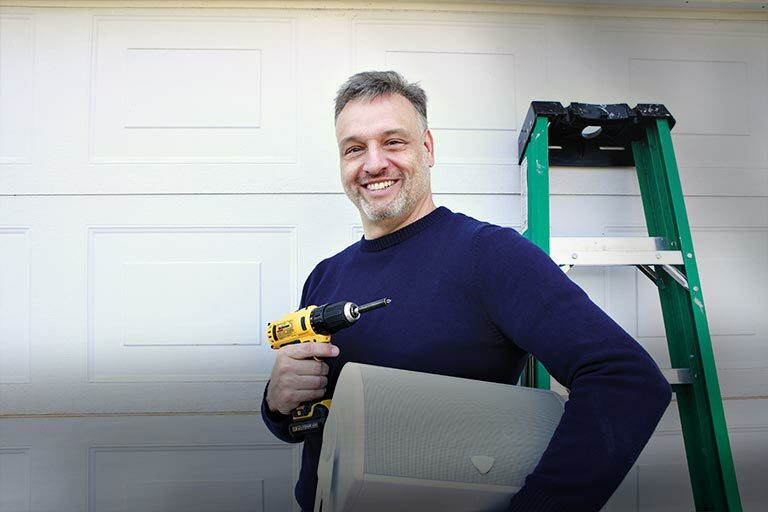 By buying this product you'll earn up to 2350 Rewards points. 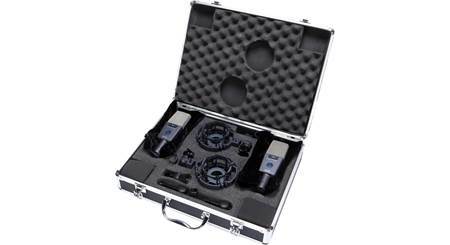 Need a pair of high-performance condenser microphones for vocals? Check out this matched pair of AKG C414 XLII mics. You can use them on a variety of sound sources, but they do an especially good job of capturing the detail and nuance of the human voice. 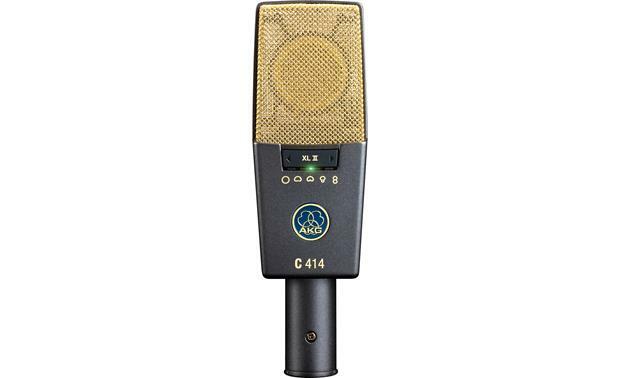 The C414 XLII's sonic signature is modeled after AKG's famous vintage C12 model. Nine selectable pickup patterns accommodate a wide variety of applications, including close-up and distance miking. Three switchable bass cut filters and three pre-attenuation levels let you adjust for different sound sources and recording situations. For live concert use, all controls can be disabled easily so settings can't be changed accidentally. The C414 XLII mic has a wide dynamic range, and features a large 1" diaphragm that can deliver finely detailed sound. A 20 dB attenuation switch lets the C414 handle high sound pressure levels, so you can use use it to close-mic drum kits, guitar amps and brass instruments. 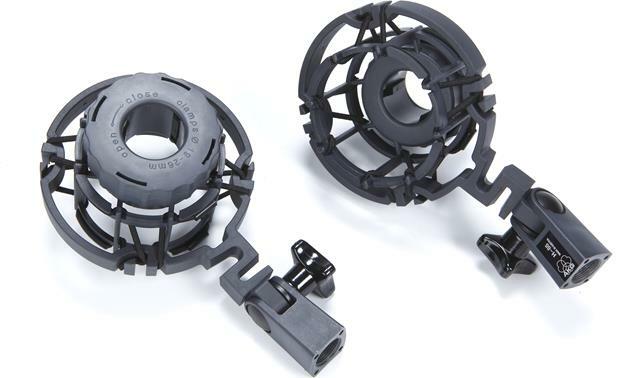 The microphone pair comes with two windscreens and pop filters for vocal recordings, and two spider-type shock mounts. 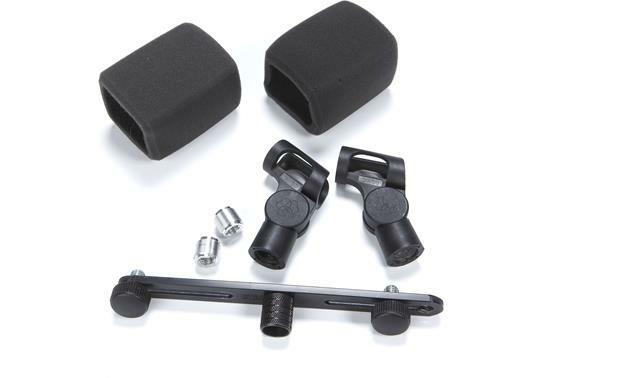 You also get a stereo mounting bar, making it easy to use the mics in tandem. And all of this gear fits in the included foam-cushioned aluminum carry case. Overview: The AKG C414 XLII is a multi-pattern, reference condenser microphone for studio recording and live sound applications. It is designed to give you a warm and clear sound for lead vocals and solo instruments. It can also be used in broadcast facilities. 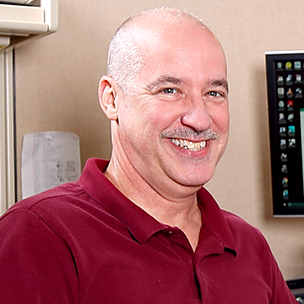 This package includes a pair of computer-matched microphones for stereo recording. Having matched stereo pairs provide the highest correlation over the microphones' entire frequency range and virtually identical sensitivity to give you stunning 3-dimensional recordings. The Stereo Pair package includes two C414 XLII microphones, two H65 shock mounts, two SA60 stand adapters (each with an inserted thread adapter), two W414 windscreens, and one H50 stereo bar. The package is stored in a sturdy carrying case. C414 XLII vs. C414 XLS: The AKG C414 XLII and C414 XLS microphones are nearly identical, but have subtle differences. 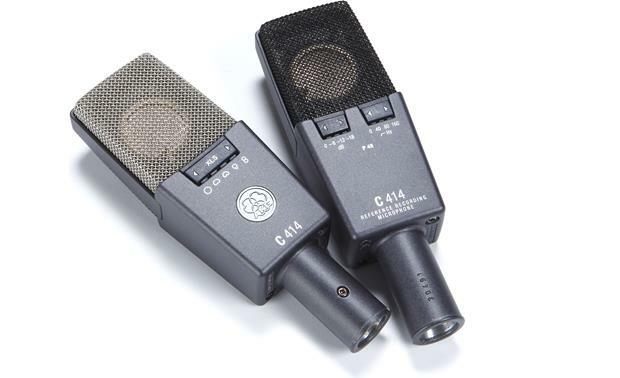 The C414 XLII was patterned after the famous C414-B-TL II, and enables lead vocals and solo instruments to stand out, even in a dense soundfield. It's also ideal for distant miking applications, such as classical music recording or drum ambiance. The C414 XLS has the sonic character of the C414 B-ULS. With a very linear and neutral sound, the C414 XLS is the widely used for accurate pickup of acoustic instruments. Omnidirectional: The omnidirectional pattern picks up sound from all directions, and can be used for ensemble singing or instruments, ambience recording, or far-field recording in good-sounding recording rooms. Wide Cardioid: A wide cardioid pattern, or sub-cardioid, is slightly more directional than an omnidirectional pattern. The rear sensitivity is approximately 3-10dB lower compared to the front sensitivity. It is ideal for picking up a group of vocalists or instruments with very little proximity effect. Cardioid: The cardioid polar pattern is more sensitive to sounds directly in front of the element, and reduces the pickup of unwanted sounds from the sides and back. It is an excellent choice for all kinds of voices and a wide range of instruments. Hypercardioid: A hypercardioid polar pattern is similar to a cardioid pattern, but is more directional with less sensitivity at the sides, and slightly more sensitive directly behind. Figure Eight: The microphone will equally pick up sounds from the front and rear. This works well for recording two sound sources (duet singers, talkers, instruments) facing each other. It can also be used for miking the side signal in M/S stereo recording, or for overhead miking. Phantom Power: This condenser microphone requires phantom power of 48 V DC (+/-4V). Bass Cut Filter: The C414 XLII is equipped with a selectable Bass-Cut filter which reduces low-frequency distortion caused by wind noise or air handling equipment. It also minimizes the proximity effect caused by close-miking from 4" or less. The Bass-Cut filter can be set to 40Hz (12dB/oct), 80Hz (12dB/oct), or 160Hz (6dB/oct). Selectable Pre-attenuation Pad: The C414 XLII is capable of handling sound pressure levels up to 158 dB without distortion when the selectable Pre-attenuation Pad is engaged. The pad offers three levels of attenuation (-6dB, -12dB, and -18dB) which increases the headroom and prevents the microphone's output level from overloading the input preamps in a connected mixer or amp. The maximum SPL without distortion when the pad is off is 140dB. With the pad engaged, the maximum SPL increases to 146dB(-6dB pad), 152dB (-12dB pad), and 158dB (-18dB pad). Shock Mount: Included with the C414 XLII is the H85 Universal Shock Mount. The shock mount isolates the microphone from mechanical vibrations and noise that might be transmitted through the mic stand. The shock mount has a 5/8"-27 thread. The package includes a metal thread adapter, to let you mount it to a stand or boom with 3/8"-16 threads. 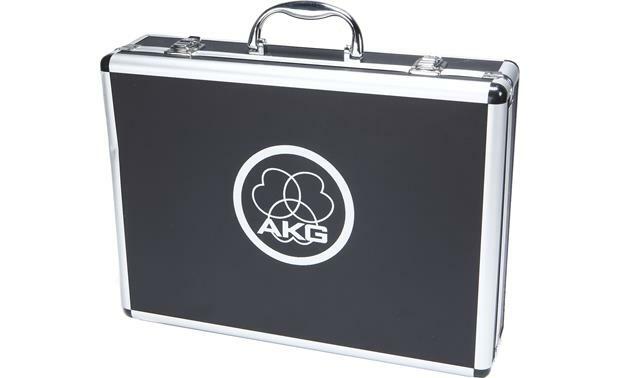 Searches related to the AKG C414 XLII (Matched Pair) Large-diaphragm multi-pattern condenser microphone.